Shopping for clothes is never easy, and the huge selection of stores out there makes the task just a little bit harder. Of course, it is better to have plenty of choices than none, and here we compare two of the most high profile names in the casual clothing industry today, Urban Outfitters and American Apparel. Photo by Villain Media, LLC. American Apparel tends to offer clothes that are decidedly “alternative” in slant. It seems that the company somehow has the knack of producing clothes that accentuate the best qualities of a person's body, and downplay the faults. Urban Outfitters’ clothes have a similar edgy appeal, and it seems that their product line has all the alternative sub-styles covered. 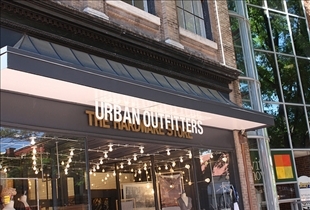 In fact, what makes Urban Outfitters different from American Apparel however is that their product line has a very broad scope, unlike American Apparel’s, which is seemingly targeted toward a narrower market base. There was a time when Urban Outfitters’ catalog was decidedly classy…at least classier than American Apparel’s catalog and classier than it is today. Things have changed in the catalogs released after spring 2009, and gone are the whimsical models, having been replaced by what could best be described as models who have taken to the extremes the controversial "heroin chic" look of decades past. While Urban Outfitters seems intent on following the trail that American Apparel forged, said company still does what it does best: showing scantily clad and reed-thin models in various states of undress. As objectionable as the company’s image may be to some, American Apparel does have the edge over Urban Outfitters in its more recognizable and coherent brand identity. It is usually pretty easy to tell if a piece of clothing or an outfit comes from American Apparel, while it isn't quite so easy to tell with clothes from Urban Outfitters. 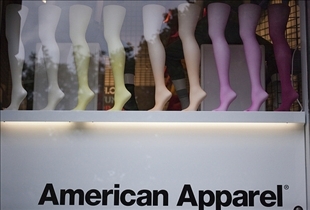 In addition, American Apparel definitely has a more up market appeal–albeit edgy–than Urban Outfitters. What makes American Apparel able to present such a strong image is that it has managed to get its individual branding aspects working together in order to create a more powerful impression. Highly structured and noticeably more coherent, American Apparel’s brand image is hindered only by its smaller demographic. As it is, it appears that the Urban Outfitters tactic of appealing to a broader range of customers is working to the company’s advantage. Which clothing shop has better clothes?